Please, go to sleep before 3AM this time. Took these today with a Pentax Kx. Nice to finally have some good pictures of it! I'm super excited! I'm going to see the Indianapolis Auto Show with a friend. I'll bring back a TON of photos. I'm so freaking excited right now. So, Oppo, I'm on a trip. To Maine! I love the ocean, and wish I could live out here. Anyway, here's the haul so far. I had my last final today in Bio, which took like 2 1/2 hours :(. Anyway, it's summer! Have a cool picture I took of my parent's MINI when we went to look at Audis and Porsches. Have a 12C for your time. Not to be an attention whore, but I have a simple request, Oppo! 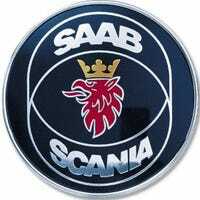 Show me ALL the SAABs! Of Happenings! A SAAB 9-3 TurboX SportCombi for sale! There's a 9-3 Turbo X SportCombi for sale! Right here: Link. God I wish I was in the market for something like this. Just wanted to let you guys know because I believe there was someone here interested in one of these. Just sit back and enjoy the beauty.